US period drama Aquarius, featuring David Duchovny, will have its Free to Air premiere on Seven next week. It begins with a double episode, replacing Criminal Minds from 8:30pm Wednesday, August 26th. The series has already played on Presto and you can read a review here. 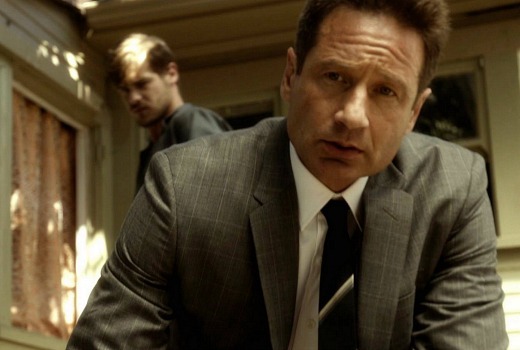 Aquarius has already been renewed for a second season. Set in Los Angeles in 1967, the series follows seasoned homicide detective Sam Hodiak (David Duchovny) as his investigations dovetail with the activities of real-life cult leader Charles Manson. Was thinking about watching it tonight but after reading some reviews on here and elsewhere I’ve made up my mind. Might go to bed and read a book instead. Back on topic. I’ve seen four episodes of Aquarius including the finale which I skipped to, and it was all very by the numbers rubbish. The shows ratings in the States have been anemic (0.3 in demo) and there are reports the second season may be canceled before it airs. I’ll second that Criminal Minds repeats will likely return a week later. Whoever is making these decisions at Seven hasn’t much of a clue. Give MuchoTB the job. At least he would watch the shows before deciding where they should go. Aquarius is clearly a dog. In fact, you don’t even need to have seen it – just read the reviews or check its rating on a critic aggregator site such as Rotten Tomatoes or Metacritic. It’s certainly not an 8:30 show, even on Wed.
To cap it off, Seven have programmed a double-ep despite all the evidence that this is a bad idea. Criminal Minds will be back the following week. Not a great show, but some may find something in it. Two eps is presumably designed to invest the audience who is watching it into deeper storylines etc. I do get the feeling Seven is treading water until bigger September shows. Cats suggest they are faring reasonably well considering. Thanks, David. I understand that scheduling two eps to start with could be a well-considered strategy to engage and capture an audience, encouraging them to commit to a series now that they’ve invested two hours. However, it is replacing two eps of Criminal Minds so I think it’s more likely a simple matter of Seven’s programmer filling the hole with something of the same size. Internet cats last week, dogs tonight, and more pets next week also suggests that Seven aren’t thinking too deeply about these things. It was a 2 hr double-ep premiere in the states too so 7 are just following suit.